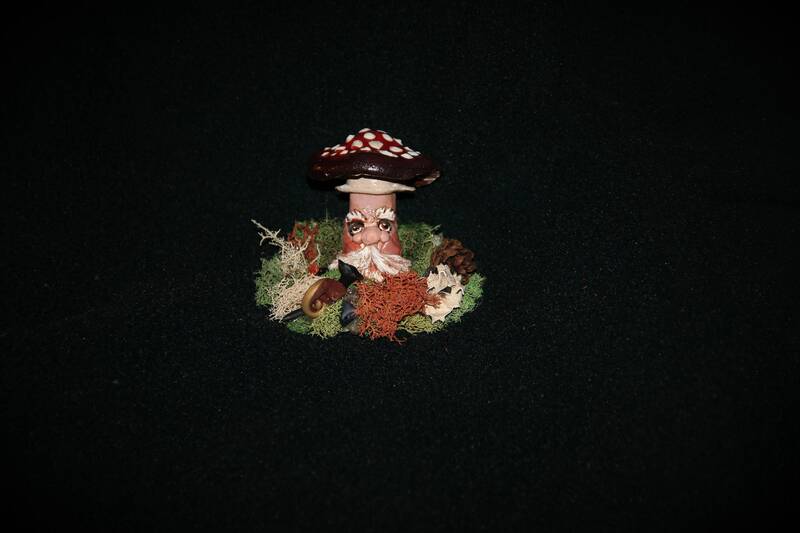 This fairy garden mushroom spirit has been hand sculpted in clay. 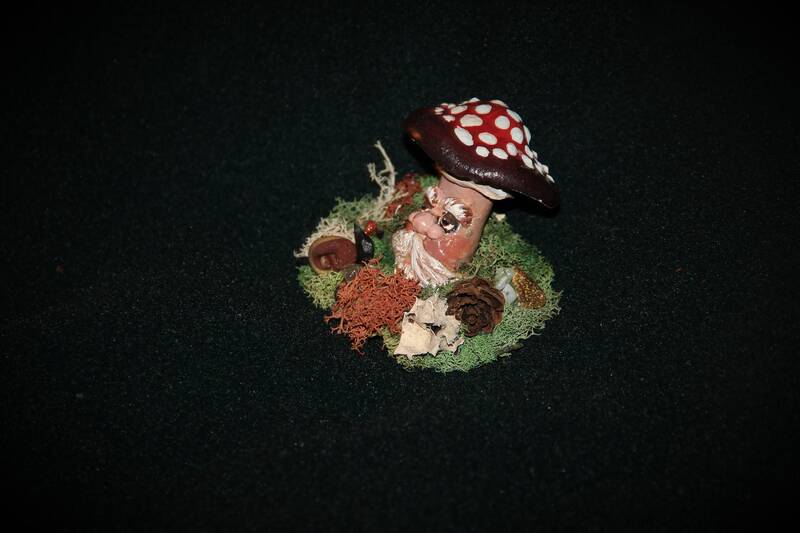 He is then painted with acrylics. 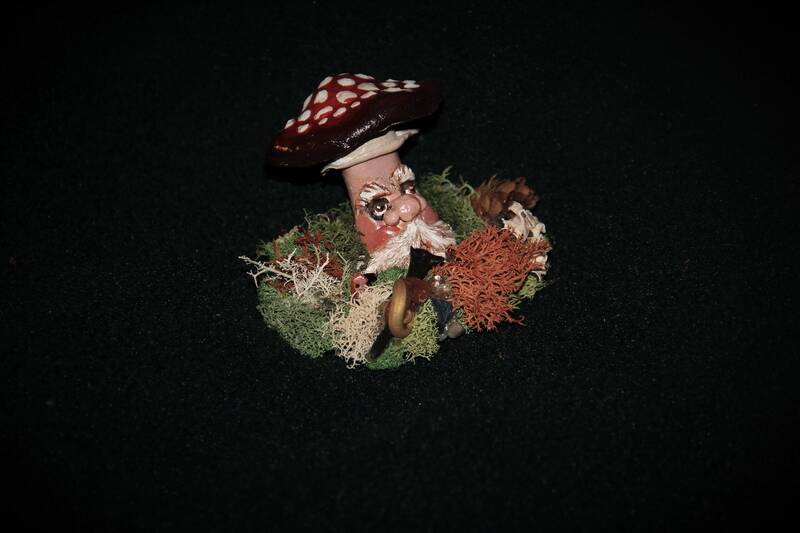 He sits in a bed of natural lichen and other things I've gathered from natures floor, along with some polished stones such as agate. These are all one of a kind . Measures 3.5" across and 3" high.